You know what never ceases to amaze me, the number of restaurants and eating joints in the city. 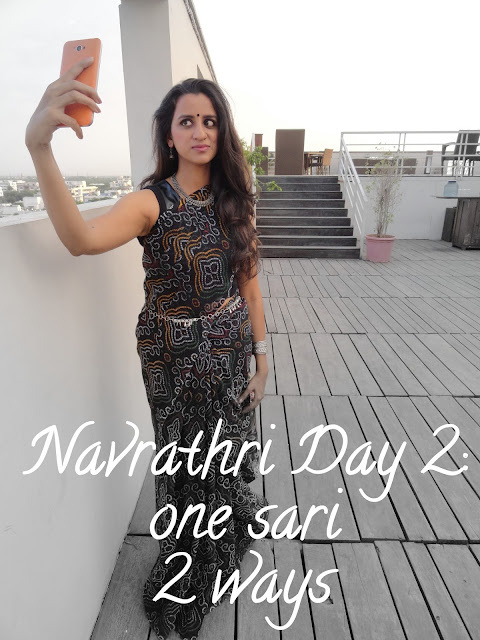 I am still exploring Chennai but every time I go back to Bangalore I find a new place has opened up and that's not it, it is filled to the brim. I mean how it possible that all the restaurants are full every weekend. Does no one cook any more? It almost nightmarish to go out on the weekends and try to get a table especially when you have a small baby in the group. 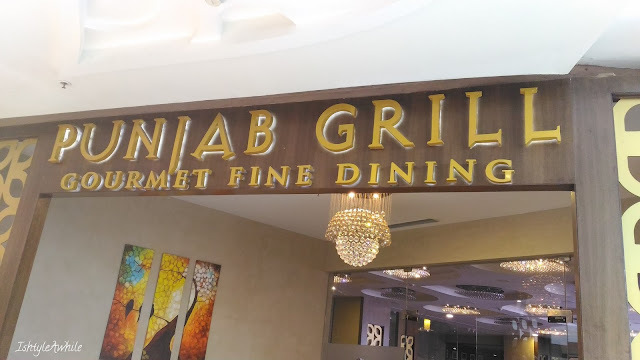 This weekend, my husband's brother's family and his sister's family (and her 6 month old baby) had come home for a small function and we decided to go out for a lunch to Punjab Grill. I booked a table for 6 via the Dineout app because when there is an offer of 50% the food bill one must make complete use of it. 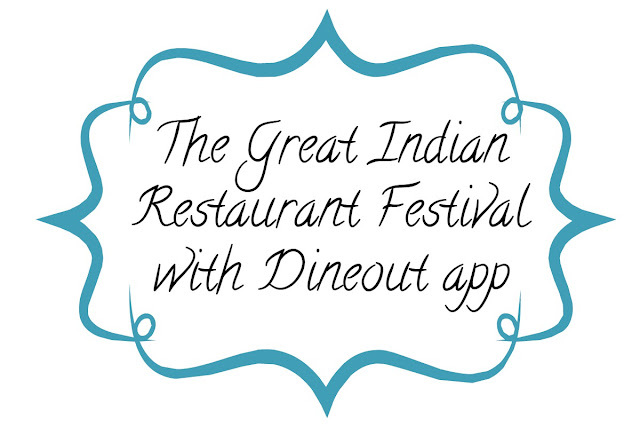 The Dineout app is a simple way to reserve a table at your favourite restaurant so that you don't have to wait too long to get a table (Babies really don't have much patience) They always have deals going on and right now they have the Great Indian Restaurant Festival going on. Book through the app and you can get yourself 50% off the food bill, the alcohol bill, buffets and even some special set menus. There are more than 1000 restaurants, across multiple cities, that are a part of this huge campaign and finding a restaurant near you with the cuisine you want should not be a problem. 1) The booking charges that you pay may vary. I paid 50INR per person when I booked the deal 4 days ago. However the same restaurant had brought the booking charges down to 10INR when I checked today. 3) I was able to book a deal for 6 people but I know of a friend who was not able to book for more than one person per app. So she and her husband had to book through the app separately for the same restaurant. You may want to go through the FAQs of the #GIRF before you book and check whether you are able to book for multiple people. 4) The discount is only the bill and not on the tax. So you basically get taxed for 50% of what you have eaten. 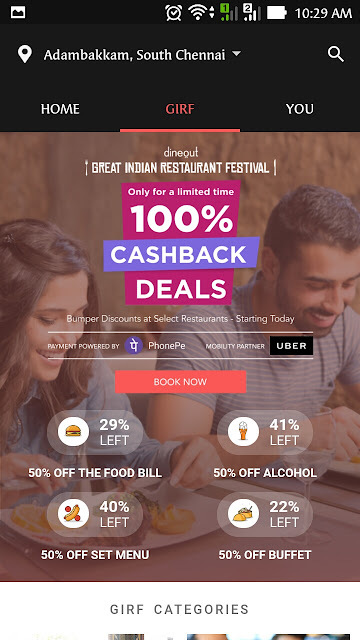 The Great Indian Restaurant Festival is on only till Feb 10th and a lot of the deals have gotten sold like hot cakes, so you should really head over there soon to make use of this. 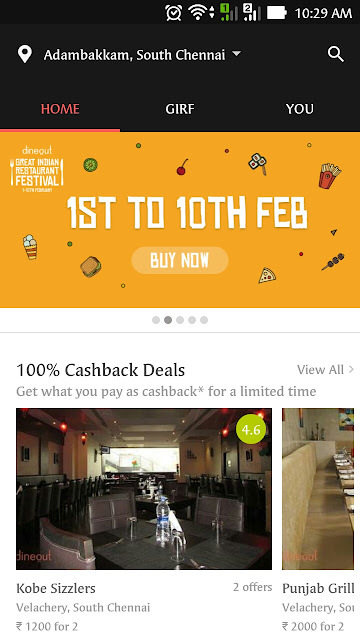 Dineout App also has the option of smartPay, a simple way to pay your bills in any restaurant which has smartPay enabled. 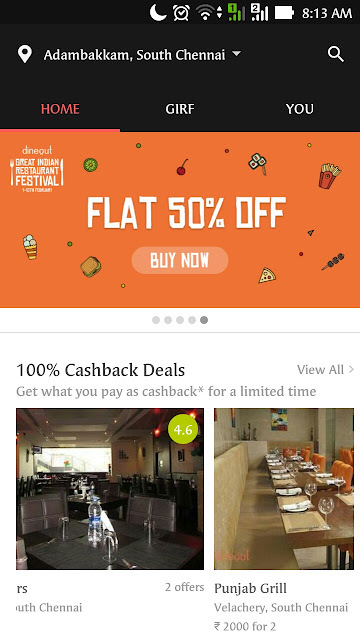 The app offers upto 20% cashback when you make a reservation through it. You can also wishlist restaurants that you wan to try. I loved how easy it was to make a reservation. 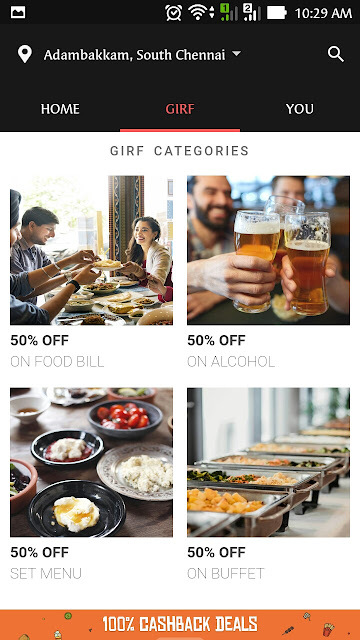 Also, when you upload a bill onto the app you get some Dineout points added. Overall I am quite smitten by the app actually and am already planning where to go next for our 3 month anniversary. Stay tuned to my Instagram and Snapchat to see where I go.